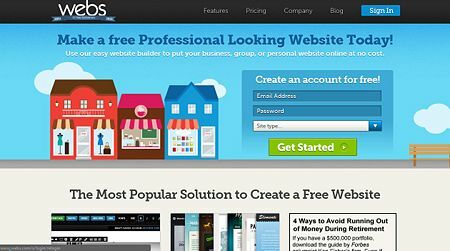 If you want to make a free website for yourself, then you can go to webs.com. In webs you can do almost anything you want for free and the only thing you really can't to for free is have a domain name. You can even get a 30 day free trial for a domain. 1. Go to webs.com and create an account. Once there, sign up on the right side of the page. Enter your email address, create a password, and select the type of site you want: business, group/organization, or personal. Then click "Get Started." 2. The registration continues on the next page. Type in the password again. Then come up with a site address for your website. Lastly, pick a title for your website. 3. Select a template. 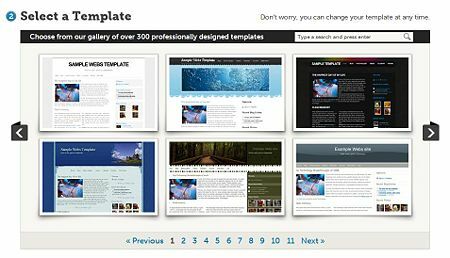 There are a variety of templates for you to pick for your website. If you like a particular design but prefer a different color, click on it and roll over the color icons below to view the choices. 4. Choose pages for your site. A Homepage is a must, so it is checked for you already. You can add and delete pages at any time. The recommended pages shown there are: photos, members, news, contact, videos, forum, blog, and a calendar. 5. Finally, click "Create My Website." Once you have read the Terms of Service and checked the box indicating that you have, you are ready to launch your very own website! Be up-to-date with your site to keep others interested and coming back, and tell your friends and family to check it out. • Web Application Development Tools - What is a Web Application Stack? • Mini Site or Content-based Web Site? • Reciprocal Linking Overload - Any old link back will do?